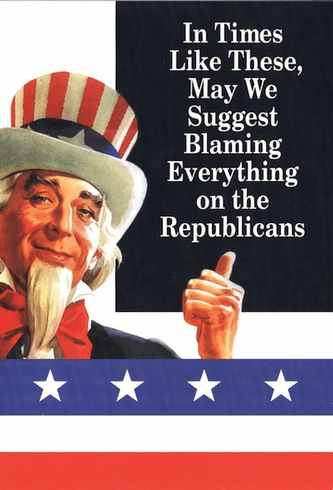 Outside: In times like these, may we suggest blaming everything on the Republicans. Inside: You're another year older. Damn that White House!